Ashmitha was born healthy and had a normal childhood until the year she turned 13. Frequent and unbearable stomach pain became a daily affair; she had to miss classes in school. Many tests later, it was found that she had stomach cancer. “It was a very, very difficult time for us. But we were relieved that we caught the cancer in its initial stages. A surgery was done immediately to remove the tumour. We thought she would be alright, but many years later (2015), it relapsed. 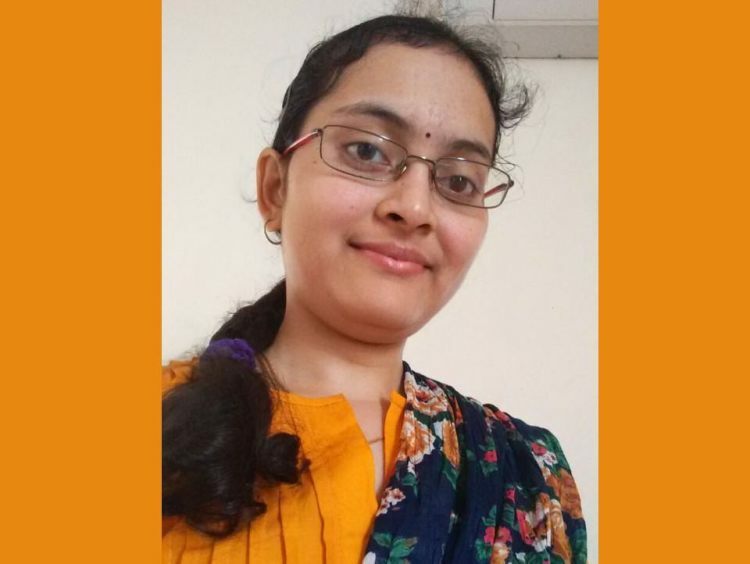 We had just started living a normal life as a family; our old fear of losing our daughter had come back with full force” - Revathi, Ashmitha’s mother. 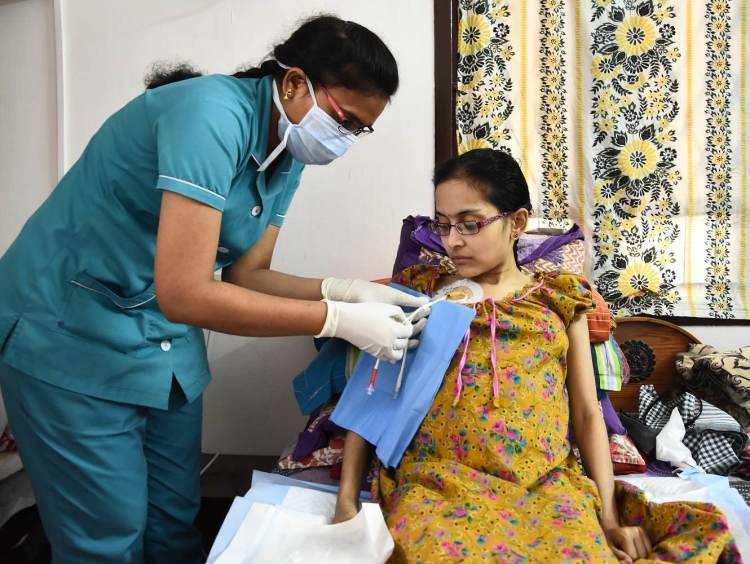 Ashmitha was given chemo and other medicines to control her tumour, but nothing would stop it. It just kept spreading and spreading, much to her agony. She couldn’t do normal things like read a book or even write properly because the pain wouldn’t just let go of her. From the last two months, things have been going very bad for this resilient 23-year-old. She has lost almost 10 kilos and looks like a skeleton. 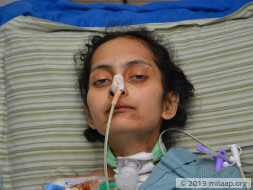 She is on TPN (Total Parenteral Nutrition) where she gets nutrients through a feeding tube attached directly to her intestines. “I know that the multi-organ transplant that I need urgently costs a lot of money, but it is my only shot at survival. I have borne this pain for all these years, and I am holding on even though it has gotten much worse because I want to live with my parents. I have only seen them worried for most of my life. They have taken care of me so well - that is the reason I have survived. I want to be able to take care of them now.”- Ashmitha smiles. 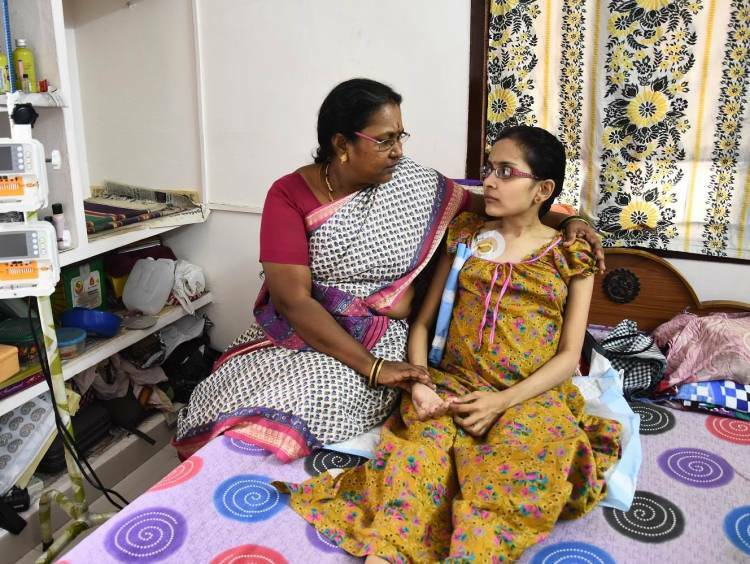 Ashmitha and her mother are currently staying in a relative’s house in Chennai, away from their home in Hosur because her health needs to be regularly monitored. She needs 24x7 home health care which is also adding to the expenses. 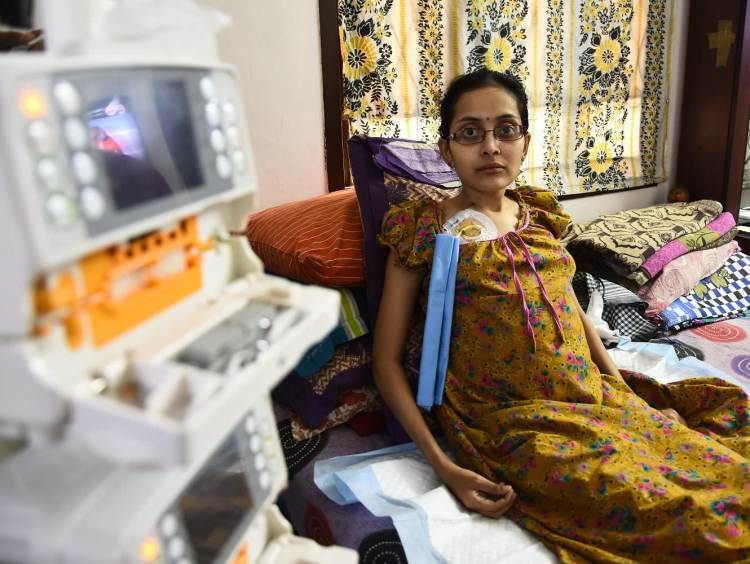 Anything can happen anytime as her organs are completely damaged. 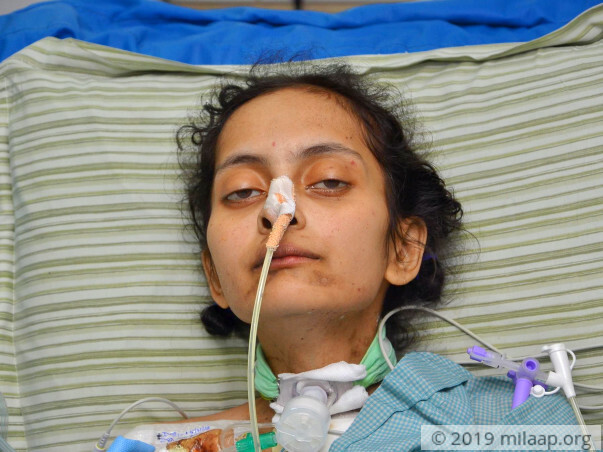 Only a multi-organ transplant can give her a chance to live. 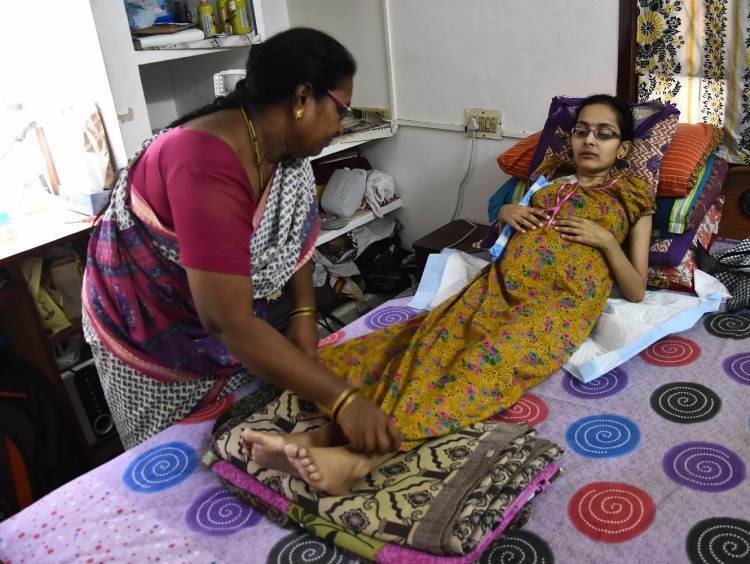 Her father works in a private company in Hosur, and comes every week to visit his daughter. 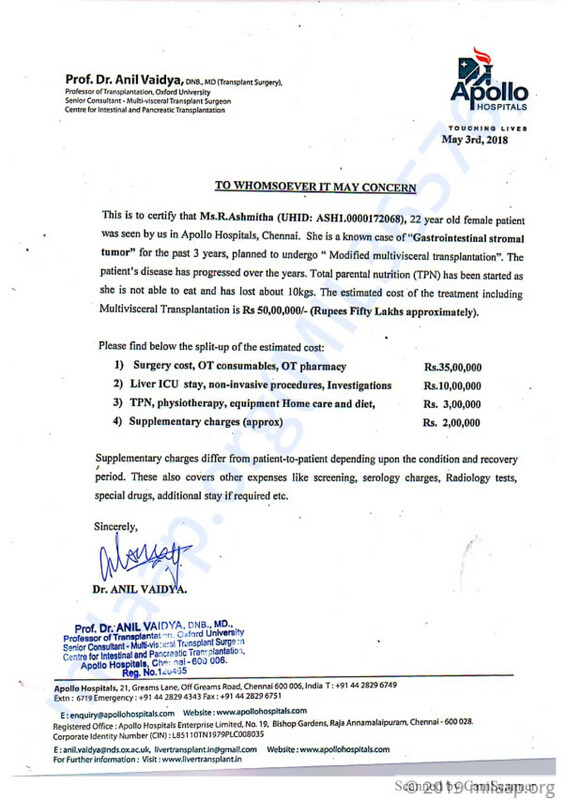 Ashmitha’s mother does not know how the family will arrange the Rs 50 lakhs now for this surgery. Your kindness can help save this 22-year-old. With a heavy heart, we regret to inform you that Ashmitha is no more amongst us. She was undergoing her treatment, but her health deteriorated and hence we couldn't save her. All the funds raised will be utilized for her medical expenses.